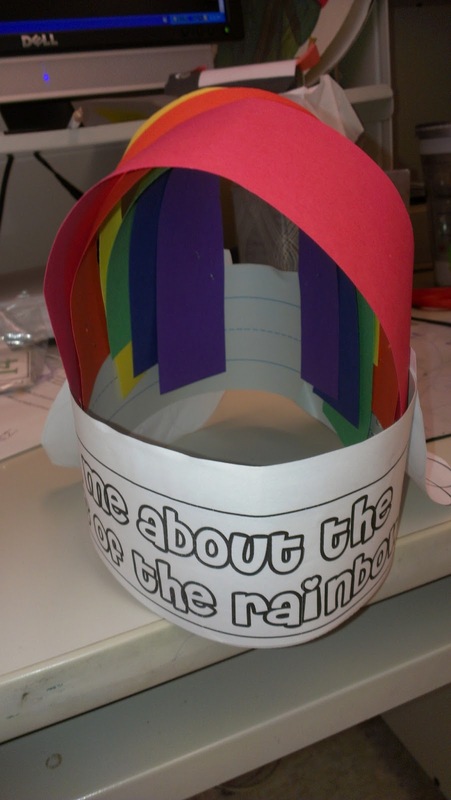 This week we learned all about rainbows! My kids loved talking about all the times they've seen rainbows and naming all the colors. I took a little inspriation from Greg over at Smedley's Smorgasboard. He makes the best hats...he makes hats for everything...seriously...he's amazing! 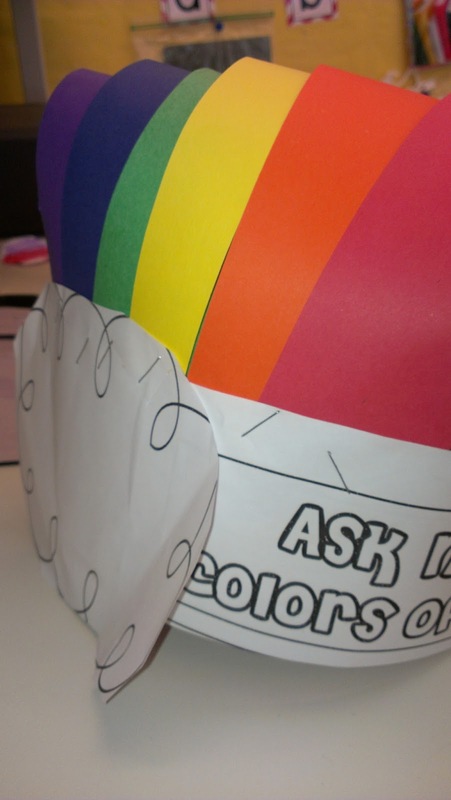 So I had my little darlings make their very own rainbow hats. It was a little difficult get the strips staples in but...with a little patience and sore palms we made out just fine. I decided to model...That's my best attempt at crossing my eyes...pathetic! 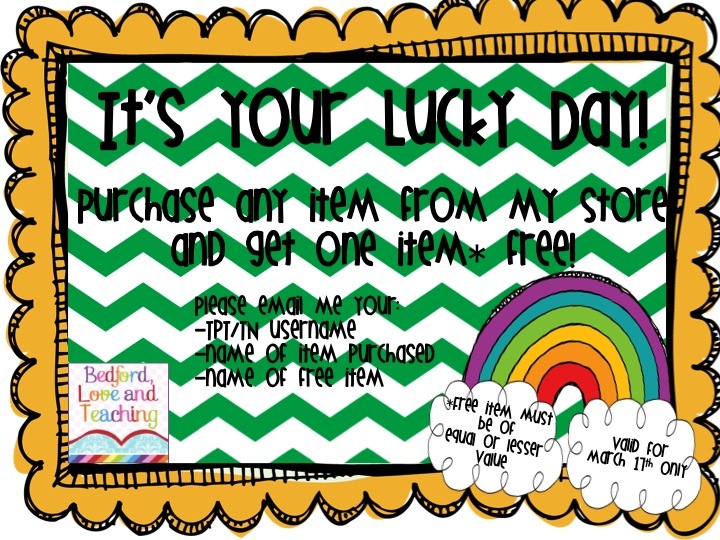 On St. Patrick's Day only...I am having a buy 1 get 1 free sale! 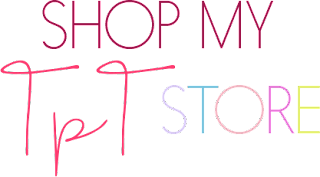 That's right, purchase any item from my store and choose a 2nd item* for free! - Check out my TpT store here . - Email me and let me know which item you'd like for free! Make sure you include your username! 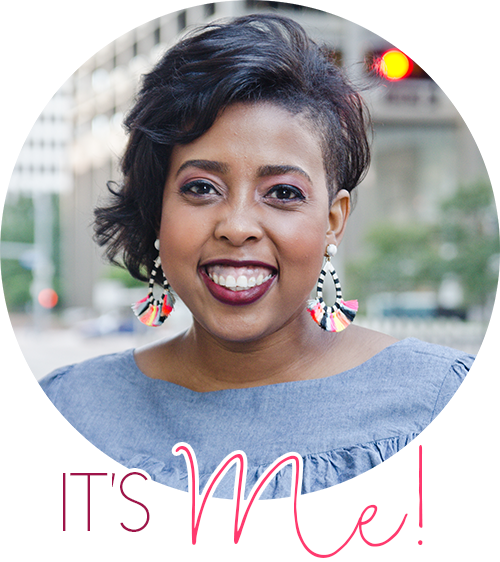 I've teamed up with a few awesome bloggers who are also participating in this mega sale! Thank you ladies! You are wonderful! I'm turning this sale into a Linky Party so if you're interested in participating, simply link up below. Please make sure you include the graphic on your blog. Thanks girl. I just posted about this as well!! Great image. 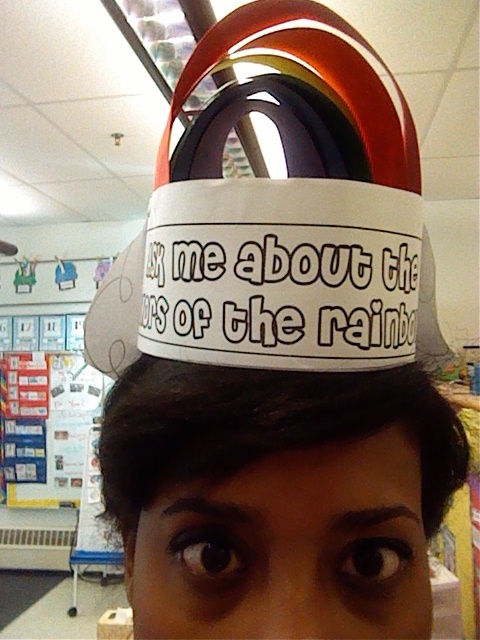 Oh and love the rainbow hats! All linked up and ready to go! Thanks for hosting! What an AWESOME sale! Can't wait until Sunday. My wish list is ready and waiting. Thanks! Thanks for hosting friend...and I agree with you about the hats! Greg is the master of hat making.